Proving the denominator of the linear regression formula for its constants is greater than zero. In a previous blog, we wrote without proof that the denominator of the constants of the linear regression formulas are greater than zero. In this blog, we show the proof. Author Autar KawPosted on 7 Oct 2012 7 Oct 2012 Categories Numerical MethodsTags linear regression, Numerical Methods, statisticsLeave a comment on Proving the denominator of the linear regression formula for its constants is greater than zero. Prove that the least squares general straight-line model gives the absolute minimum of the sum of the squares of the residuals? 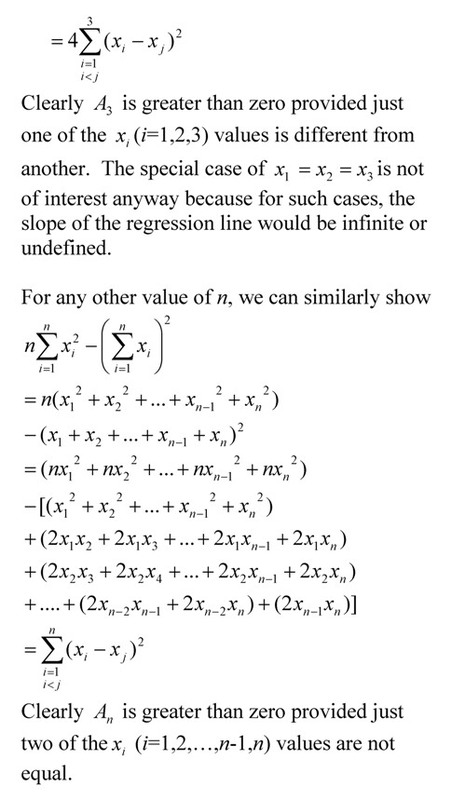 Many regression models when derived in books only show the first derivative test to find the formulas for the constants of a linear regression model. Here we show a thoroughly explained derivation. 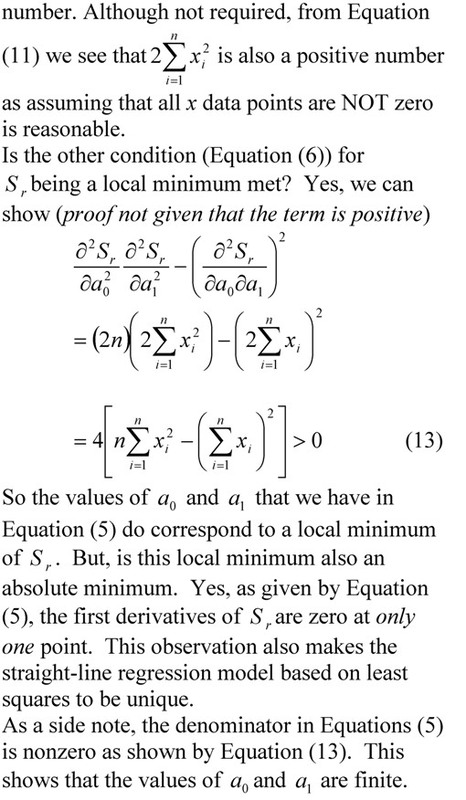 Author Autar KawPosted on 3 Sep 2012 3 Sep 2012 Categories Numerical Methods, RegressionTags linear regression, sum of squares of residuals1 Comment on Prove that the least squares general straight-line model gives the absolute minimum of the sum of the squares of the residuals?